This is a copy of the “The Siren,” published by Hollenbeck Jr. High School (Jr. 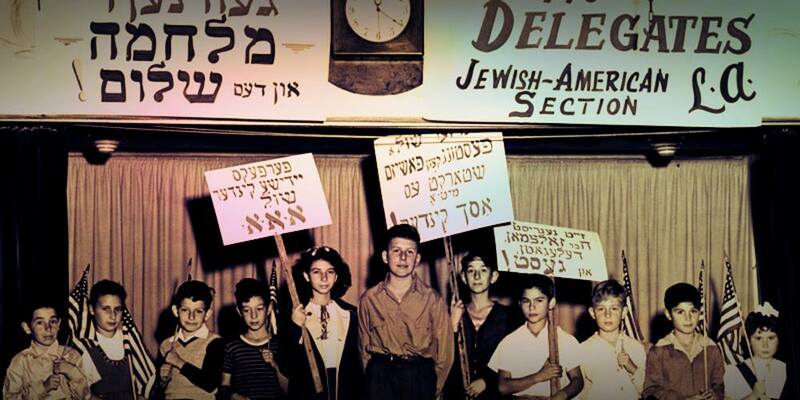 Rough Riders) students in December 1941. What should we notice about this page? This Christmas season has come but not as we foresaw. 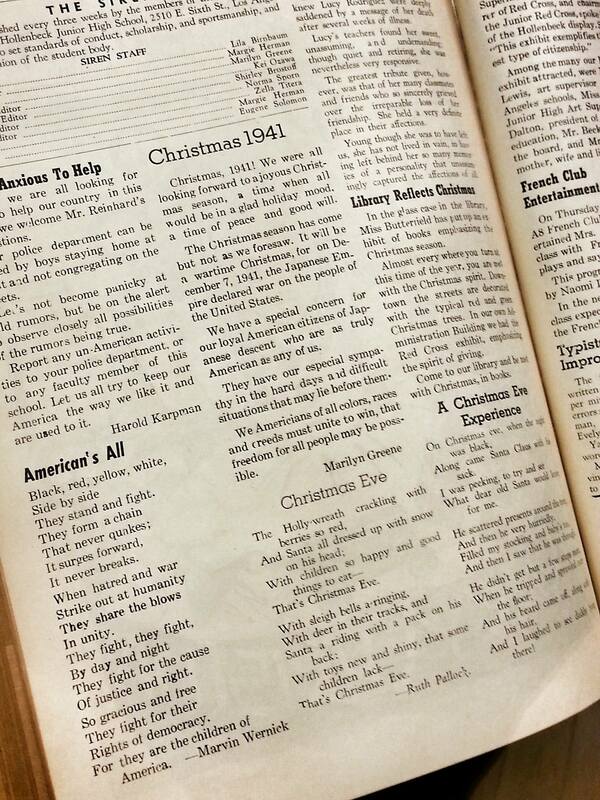 It will be a wartime Christmas, for on December 7, 1941, the Japanese Empire declared war on the people of the United States. We have a special concern for our loyal American citizens of Japanese descent who are as truly American as any of us. They have our especial (sic) sympathy in the hard days and difficult situation that may lie before them. We Americans of all colors, races and creeds must unite to win, that freedom for all people may be possible. The apprehension felt in this immigrant community was justified. 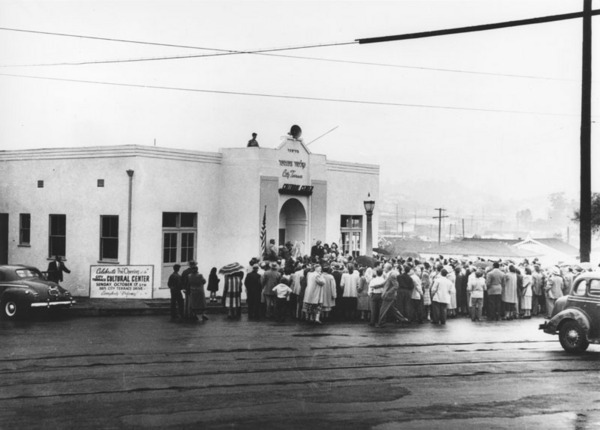 Shortly after their Japanese Americans neighbors were taken and incarcerated in camps, such as those erected at the stables of Santa Anita Park Racetrack. The neighborhood kids would then take the electric streetcars all the way out there to see their friends. Though the kids were never allowed to go inside and their interned friends weren’t allowed to come out; and absolutely no one was allowed to touch the fence that separated them, but they could only talk from afar. And at best hope to sneak a baseball across to them when the guards weren’t looking. Persons of Japanese ancestry from San Pedro, California, arrive at the Santa Anita Assembly center in Arcadia, California, in 1942. 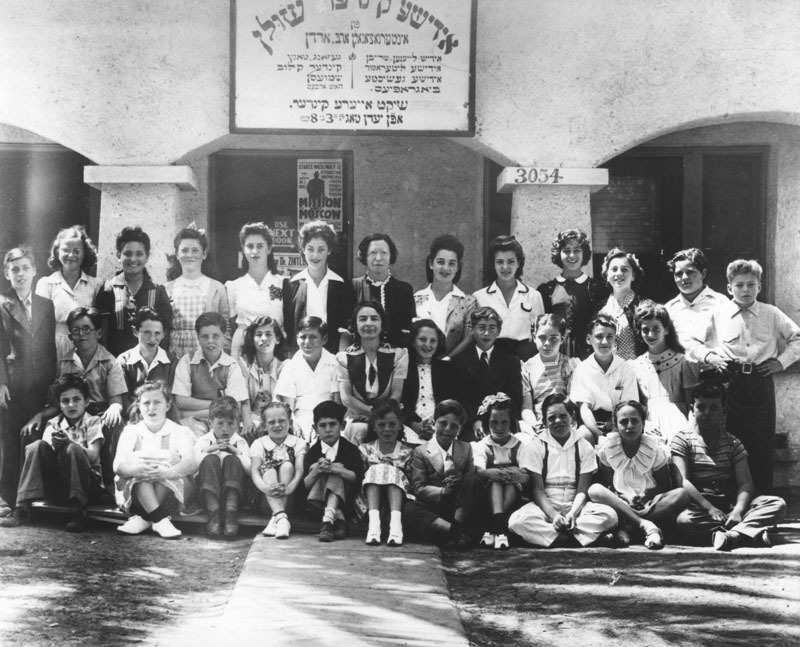 Evacuees lived at this center at the Santa Anita race track before being moved inland to other relocation centers. 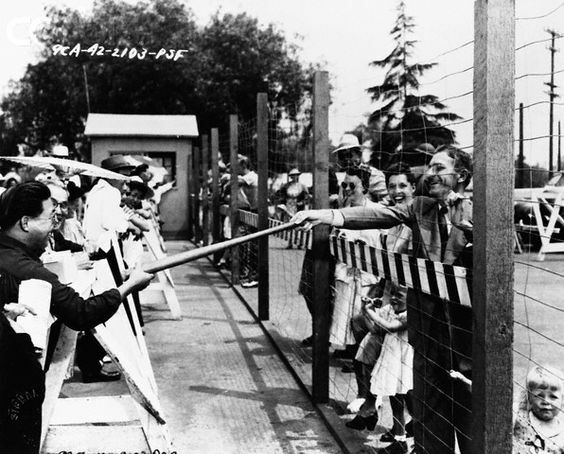 A caucasian American gives a baseball bat to an interned Japanese American, through a wire fence, at the “evacuation assembly center” at Santa Anita. January 1, 1942. The horse stalls of the Santa Anita Racetrack were converted to barracks for the people being held there. A crowd of Japanese Americans stand behind a barbed wire fence waving to departing friends on train leaving Santa Anita, California on their way to more permanent camps at Manzanar. For their Japanese American neighbors, their property and belongings were most often liquidated, before being shipped off to the hastily made internment camps such as those at the racetracks. Then eventually being interned for the duration of the war in more permanent camps in such places as Manzanar and Tule Lake; the latter being the destination for many of the community leaders and religious ministers, who were separated from their families and isolated. The incineration of Japanese Americans is still widely considered the most tragic and traumatizing event in Boyle Heights history. A dust storm hits Manzanar Relocation Center, in California, on July 3, 1942. A street scene at the Manzanar Relocation Center, winter, 1943. In the Manzanar Relocation Center, in 1943, pictures and mementos sit on top of a radio in the Yonemitsu home. Japanese Americans removed from their Los Angeles homes attend a dance at the government’s camp at Manzanar, California, on March 23, 1942. Segregated Japanese Americans from the Manzanar internment camp, California arriving at Tule Lake, 1943; Newell, California. Tule Lake Segregation Camp in Northern California. Nursery school children play with a scale model of their barracks at the Tule Lake Relocation Center, Newell, California, on September 11, 1942. 1Al Waxman, was the uncle of former US Congressman Henry Waxman (D-33rd), also formerly of Boyle Heights and members of the Breed Street Shul.